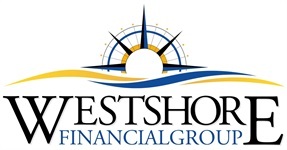 Raymond Berard is anInvestment Specialist of Westshore Financial Group, Inc. and a Registered Representative with Park Avenue Securities. For more than 18 years, he has been educating and working with physicians, dentists, pharmacists, executives, and business owners in effective financial decision-making. Raymond also educates members of the Florida Retirement System (FRS) about their pension options. He has a tremendous passion for helping people make informed decisions so they can meet their objectives in the building, maximization, protection, and enjoyment of their wealth. Raymond has had the honor to work with and speak at the following organizations University of Florida College of Dentistry, University of Alabama-Birmingham College of Dentistry, University of South Florida College of Dermatology Residents, E/R Residents, Surgery Residents, and Pediatric Residents. He holds securities licenses 6, 7, 63, and 65, as well as life, accident, and health insurance. 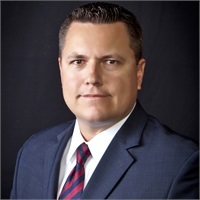 He received a Bachelor of Science in Accounting and a Minor in Finance while attending the University of Florida and University of South Florida. He is a member and past board member of the National Association of Insurance and Financial Advisors. Outside of the office, Raymond can be found coaching his kids at Lutz Baseball. He enjoys spending his free time with his wife, Tammy, and their 3 children Taylor, Trevor and Andrew. Registered Representative & Investment Advisor of Park Avenue Securities, Financial Representative of Guardian.